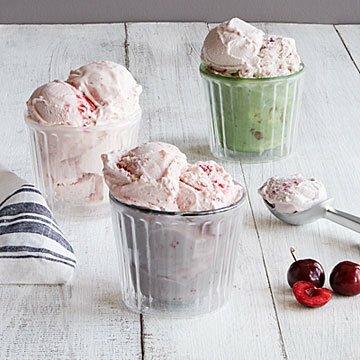 Keep your ice cream cold (and hot food hot) with these double-walled handmade borosilicate glass bowls. What's the difference between a glass half full and one that's double-walled? One is optimistic, the other is great news. Each of these bowls has two walls of sturdy borosilicate glass, and the area between the layers becomes a vacuum that creates insulation. That extra insulation keeps the hot stuff hot and your ice cream cold for longer, so go ahead and take time to savor. The bonus layer also prevents condensation, so frozen treats won't make the bowl sweat on the table or your hands. Now you have the scoop. Made in China.